National firm Shoosmiths has posted a 9% rise in revenue from £107m to £116.7m, but profit per equity partner (PEP) at the firm has remained flat at £366,000. Overall profit at the firm was up 17% to £29.38m, but the firm increased the number of full equity partners from 36 to 41, an increase of 14%. Shoosmiths chief executive Claire Rowe (pictured) said that income in the corporate practice grew by 14%, while commercial and private client also performed well. ‘Deal flow was quiet over the summer months, but our corporate team certainly bucked the trend in terms of the sheer volume of deals that they completed over the course of the year. Our restructuring and insolvency team also had a really strong year. Elsewhere, we had strong growth in the private client team that was largely in clinical negligence and family matters – reflecting our investment in previous years,’ she said. Over the last year, the firm has expanded by opening offices in Northern Ireland and Leeds, bringing the total number of UK offices to 12. In July 2016, for the firm’s Leeds opening, it hired an employment duo from Yorkshire-based Gordons, as part of an ongoing strategy to increase its UK legal market share. Last December, Shoosmiths confirmed plans to merge with Belfast firm McManus Kearney, taking on the firms two partners Mark Frances Kearney and Jason Bryne and 14 staff. Shoosmiths saw a net increase of 20 partners across all offices. Other firms to announce their financials so far have seen similar growth. After a subdued 2015/16 financial year, Pinsent Masons has broken the £400m barrier with revenues up 11% from £382.3m to £423.1m in 2016/2017. In its latest northern push, national firm Shoosmiths has hired leading commercial litigator Matthew Howarth as a partner from Gordons, to head up the firm’s Leeds commercial litigation practice. Howarth is the fourth partner to move across from Gordons since Shoosmiths launched in Leeds in December 2016. His practice is highly rated for acting on large scale professional negligence recovery claims for banks. He has also advised companies on confidential information claims, breaches of warranty disputes and shareholder actions. Gordons is rated second-tier for commercial litigation in the Legal 500 in Leeds and West Yorkshire and notably strong in the financial services sector. Howarth was also a member of Gordons’ management board and spent eight years as head of its 27-strong commercial litigation department. The firm’s Leeds head Paul Stokey, who also joined Shoosmiths from Gordons, said this latest hire further underlines Shoosmiths’ ambitions to establish a hub of legal excellence for clients in the North. 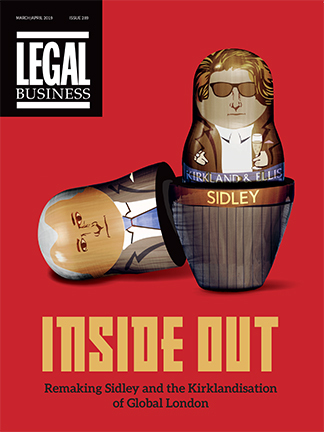 He said Howarth had an excellent reputation as a first class litigator both in the Yorkshire market and nationally. ‘I look forward to working with him as we continue to expand by attracting the most talented and ambitious lawyers to the firm,’ he said. The hire follows a series of appointments this year for the top 40 UK firm, including two other partners from Gordons, Simon Robinson and Phil Crowe in employment, former Simpson Millar national head of family law Peter Morris and real estate partner Richard Bellamy and Judy Fawcett from Addleshaw Goddard and Ward Hadaway respectively. With 12 offices across the UK, Shoosmiths announced a turnover of £107m to end of April 2016. The firm also announced it was launching in Northern Ireland through a merger last December with Belfast firm, McManus Kearney. The second LB 100 firm to announce a move into Northern Ireland this week, national firm Shoosmiths has confirmed plans to merge with Belfast firm, McManus Kearney. Shoosmiths, which has 11 other offices in England and Scotland, said it ‘was prompted to move into Northern Ireland as a commitment to providing truly national service for clients’ of its recoveries services group. Specialised in domestic debt and insolvency matters, McManus will rebrand as Shoosmiths from today (1 December) and its two partners, Mark Frances Kearney and Jason Byrne, will remain at the firm’s Belfast office alongside 14 staff. Shoosmiths chief executive Claire Rowe (pictured) said the merger was motivated by client demand and ‘our wish to have a commercial presence in Northern Ireland’ as a result of work the firm undertakes in recoveries and commercial financial services. Shoosmiths’ partner Stephen Dawson, who leads the firm’s financial services advisory team, will also lend his support to the growth and development of the new office. He already lives in Northern Ireland. The firm is in good stead to make key investments, with revenue modestly rising 4% to £107m for the 2015/16 financial year, down on the firm’s double digit growth last year of 10%. On Monday (28 November) fellow LB 100 firm DWF announced it had secured a merger in Northern Ireland with Belfast firm C&H Jefferson. Known to specialise in commercial property and disputes, for its reputation in professional negligence, the 20-partner firm officially joined DWF, giving the latter 12 offices as well as offices outside the UK in Brussels, Cologne, Dubai, Dublin and Munich. In a week which saw multiple departures from Ashurst, the firm sought to reverse the trend with a hire in its German tax practice, while DLA Piper and Shoosmiths made national hires and White & Case bulked up in London. Ashurst has hired partner Martin Bünning from Jones Day in Frankfurt, where he was a partner since 2011. His practice focuses on tax advice for investors in real estate and other alternative investments, as well as on tax structures for open-ended and closed funds. Meanwhile Shoosmiths boosted its national regulatory practice with the appointment of two partners, Roy Tozer in Birmingham and Charles Arrand in Milton Keynes from DLA Piper. Arrand was also previously at Pinsent Masons and has experience in advising both individuals and well-known brands on a range of regulatory issues including investigations and prosecutions in relation to regulatory offences while Tozer has been involved in high-profile health, safety and environmental cases as well as multi-jurisdictional product liability cases. DLA has also made a hire in Birmingham, strengthening its real estate team with the appointment of Monique Sutherland from Squire Patton Boggs. Sutherland has been involved in a number of landmark developments in the Midlands including Paradise Circus. The front door was spinning at Shoosmiths this week as it swooped for hires from three City firms, while Ashurst‘s exits continued, and Burford Capital and RPC Perform both recruited. Shoosmiths’ recruitments hot up an otherwise quiet August with a spate of hires from Hogan Lovells, Charles Russell Speechlys, King & Wood Mallesons and a move for Iconix’s senior in-house counsel. The UK firm hired Hogan Lovells corporate partner Amit Nayyar and senior real estate associate Ed John, who joins the firm as partner. Shoosmiths tapped Charles Russell for planning partner Tim Johnson, and added to the exits at King & Wood Mallesons by recruiting Angus Evers, who will join as the firm’s head of environment. As well as grabbing a raft of new partners from the City, Shoosmiths added Richard Millington who joins from Iconix, the home of brands including Umbro, where he was VP international counsel. Millington will join Shoosmiths’ technology, media and commercial team in the firm’s Manchester office. As the firm continues to struggle with a string of exits, Ashurst has lost a key member of its Africa team, with oil & gas and mining project partner Nicolas Bonnefoy leaving the firm to start his own practice. Bonnefoy has advised clients such as Mitsui & Co, oil company OMV Group and Sasol as well as Republic of Equatorial Guinea and the Democratic Republic of Congo. Bonnefoy is the latest in a wave of recent departures, including the firm’s CFO Brian Dunlop earlier this month. While Burford Capital, the global litigation financing firm, has appointed former Fried, Frank, Harris, Shriver & Jacobson head of competition and antitrust Craig Arnott as its new managing director. Arnott takes over after the sudden resignation of Nick Rowles-Davies. Finally, RPC’s general counsel consulting arm, RPC Perform, has hired Royal Bank of Scotland consultant Varun Srikumar in the latest addition to the team. RPC Perform was founded early in 2016, headed up by former T-Mobile GC and Huron Consulting legal managing director Julia Chain. Srikumar is the fifth new signing for the fledgling practice. Shoosmiths is to open a new office in Leeds with an employment duo from Yorkshire-based Gordons as part of the firm’s ongoing strategy to increase its share of the UK legal market. Partners Simon Robinson and Phil Crowe will lead the offering, which will be Shoosmith’s eleventh office. The firm said the new office is likely to open in late 2016. Shoosmiths chief executive Claire Rowe said that the move was part of a plan to create a Northern hub and take a larger share of the domestic market. Last week, the firm announced 4% growth in revenue for 2015/16 to £107m. The figure was down on the firm’s double-digit growth last year of 10%. In 2014/15, the firm saw turnover recover to near pre-2008 levels, reaching £102.7m. The latest figures see the firm beat its 2007/8 record for the first time, when the revenues reached £103.4m. Shoosmiths profit per equity partner was lower at £365,000, compared with last year’s figure of £416,000. The firm said this was because this financial year was its first as an all-equity partnership, having moved to the model in May last 2015. The firm has recruited and promoted 14 partners in the last year, strengthening its offices in Birmingham, Manchester and London, having moved into its new office at Tower 42 in 2015. Rowe said the firm was leading an IT transformation programme as part of its digital strategy. Shoosmiths has seen revenue rise 4% for 2015/16 to £107m, down on the firm’s double digit growth last year of 10%. In 2014/15, the firm saw turnover recover to near pre-2008 levels, reaching £102.7m. The latest results see the firm beat its 2007/8 record for the first time, when the revenues reached £103.4m. Shoosmiths profit per equity partner was considerably lower at £365,000, compared with last year’s figure of £416,000. The firm said this was because this financial year was its first as an all-equity partnership, having moved to the model in May last 2015. Rowe (pictured) added: ‘this is a reduction on last year, but is still our second highest PEP in the last nine years’. The national firm said on a like for like basis, profits were up by 4% to £25.1m. Other national firms to announce their financials have seen similar growth. Addleshaw Goddard posted a revenue bump of 5% up to £201.8m, while Pinsent Masons also grew turnover by 5% to £382.3m. Posting results today (6 July) DAC Beachcroft saw subdued turnover growth of 2% to £202m, with profits up 9% to £35m. National firm Shoosmiths has returned to its pre-financial crisis highs, breaking the £100m mark in revenues for the 2014/15 financial year and profit per equity partner (PEP) jumping 44% to £416,000. Turnover at the top-50 firm grew 10% to £102.7m, returning to the level recorded in 2007/08 when the firm posted revenues of £103.4m and building on strong results last year which saw a 7% increase in revenue to £93m with PEP up 21% to £290,000. The regionally-focused firm has also revealed it has taken permanent office space in London’s Tower 42, as of today (13 July). The firm has ten offices in total including the Tower 42 base, with its remaining nine offices spread across the UK in Birmingham, Milton Keynes, Nottingham, Northampton, Thames Valley, Basingstoke, Southampton and Edinburgh. 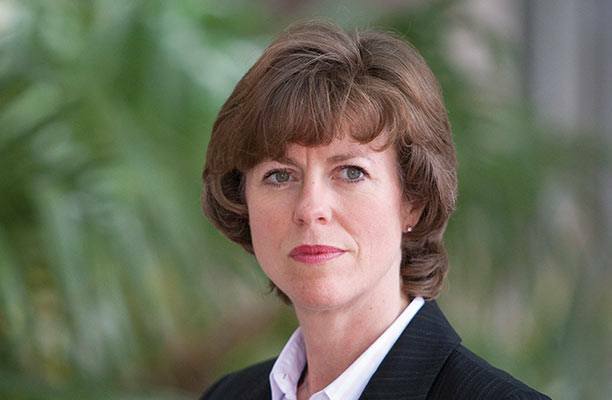 The firm’s chief executive Claire Rowe (pictured) said the ‘stellar results’ boil down to the firm’s ‘sustained investment’ that has largely contributed to the firm’s growth in headcount. 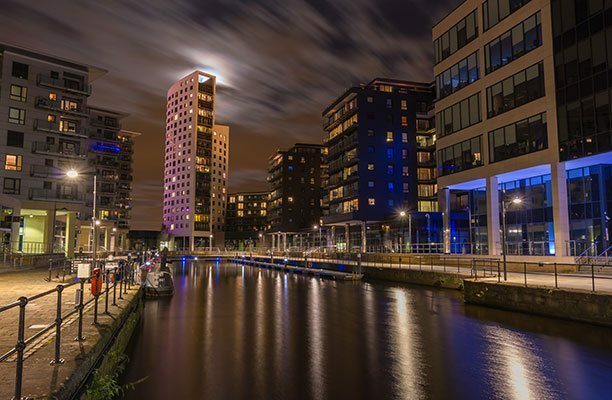 In the last three years, the firm appointed 46 new partners and increased its Birmingham and Manchester office headcount to 224 staff and 152 staff respectively. Shoosmiths also recently appointed its first non-executive director, Jeremy Horner. In April, Shoosmiths announced all its partners will move to an all-equity partnership from 1 May 2015 with 76 salaried partners becoming fixed-share, bringing the total number of equity partners to 126. Some 92% of the existing salaried partners chose to become members of the LLP as fixed share equity partners with the remaining 8% staying as salaried partners. National law firm Shoosmiths will move to an all-equity partnership from 1 May 2015 with 76 salaried partners becoming fixed-share – and bringing the total number of equity partners to 126. Some 92% of the existing salaried partners have chosen to become members of the LLP as fixed share equity partners with the remaining 8% staying as salaried partners. The firm then carried out consultations with its salaried-partner group with the leadership team making presentations around the firm’s offices before salaried-partners were given the choice to join the membership. Taylor Wessing announced last week it is also set to convert into an all equity partnership on 1 May following a lengthy review and partnership vote. While others set to make the move to all equity structures include Mishcon de Reya this autumn, where current equity partners will become ‘senior equity partners’ and junior partners will become ‘junior equity partners’. Nabarro and Shoosmiths have secured a joint appointment to the legal panel of Mercedes-Benz UK following a competitive tender process, while Wragge Lawrence Graham & Co has failed to win a place. Announced in a joint statement today (24 February), the appointment ‘allows Nabarro to build on a relationship of more than six years’ with the German automotive brand while Shoosmiths is a new addition to the panel. The tender process was initiated by Mercedes-Benz group general counsel and compliance officer Jonathan Lipman, who joined the business in 2013 from PSA Peugeot Citroen, after former legal chief Iain Larkins left the role to found virtual commercial firm Radius Law. Commenting on the panel, Lipman said: ‘We review our legal suppliers rigorously. The re-appointment of Nabarro is testament to the quality of advice and other support the firm continues to provide Mercedes-Benz. In appointing Shoosmiths, we are confident we have found a firm that will work effectively as an extension to our own team and look forward to working with them. The firms are expected to support us particularly in the areas of property, financial services, corporate and competition’. The last review took place in 2009, with Nabarro and legacy Wragge & Co winning the two spots available while Shoosmiths and Pinsent Masons lost out. Other in-house panel reviews of late include the UK legal arm of French insurer AXA, which is set to look at its relationships with Magic Circle and international firms to scope how effectively they can work for the company, and follows a review of the UK specific ‘business-as-usual’ panel which was cut from seven to two and now comprises Pinsent Masons and DAC Beachcroft.